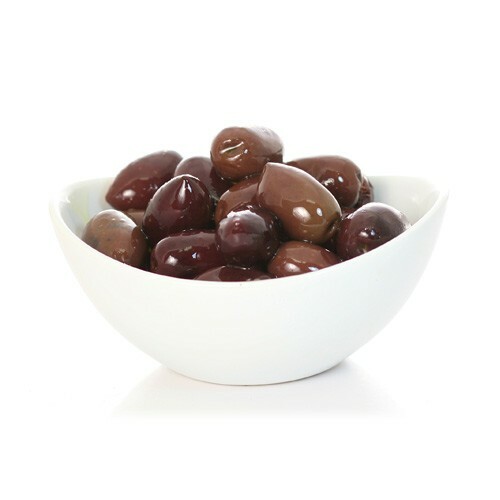 The most popular and the most famous of the Greek olives, Calamata have a purplish black appearance with a pointed shape and a sharp, slightly bitter flavor. Serve as an appetizer, hors d'oeuvre, or in salads. Calamata olives are used in olive bread and are also a nice pizza topping.